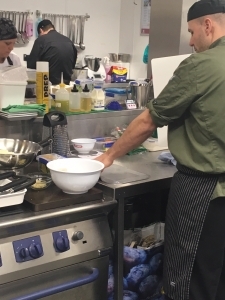 Dycem Non-Slip was recently on hand as the search for the Care Chef of the Year 2018 continued at the UK south west regional cook-off. 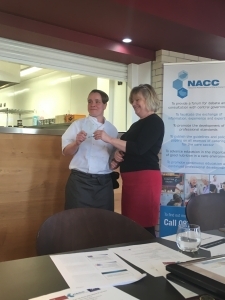 The National Association of Care Catering’s (NACC) prestigious culinary competition seeks out the nation’s best chef working in the care sector and it also celebrates the excellent talent, skills and professionalism of chefs in the sector. With a Dycem mat under the chopping board & a jar opener at hand the chefs are more than perpared! 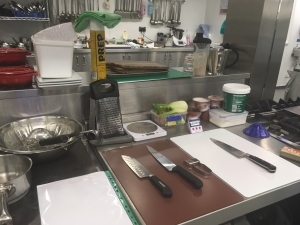 Super grippy Dycem Non-Slip mats helped the regions top chefs with various tasks such as chopping and mixing as they competed to create a delectable, nutritionally-balanced, two-course menu (main and dessert) suitable for diners in a care setting. 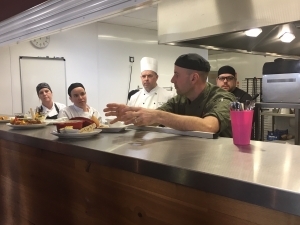 The competitions judging panel were looking for new exciting recipes whilst adhering to a strict budget (£2.25 per head) and meeting the nutritional needs of their clientele. 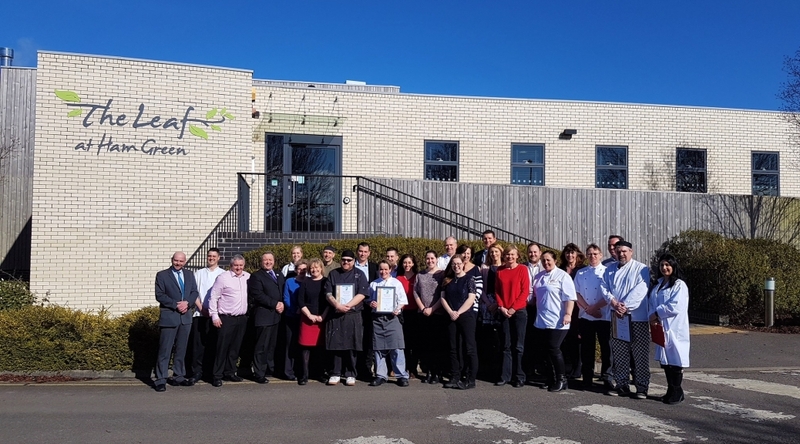 The standard at the cook-off was extremely highly and closely fought but unfortunately only two chefs could be chosen to secure a place in the national final. 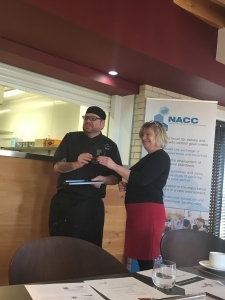 The talented lucky two were Simon Lewis and Nicola Burroughs who go on to compete for the coveted NACC Care Chef of the Year 2018 title. Congratulations and good luck in the final to you both! Dycem Non-Slip is exhibiting at the 40th REHACARE INTERNATIONAL in Düsseldorf, Germany from 4th to 7th October 2017. The team will be accompanied by our resident expert, occupational therapist Jen Cave-Ayland. Jen is full of knowledge on how our products can enable self-determined living for those with disabilities, care needs, chronic diseases and the elderly. You will be able to see us in Hall 5 / H27.I when REHACARE 2017 opens its doors from Wednesday to Friday from 10.00 a.m. to 6.00 p.m. and on Saturday from 10.00 a.m. to 5.00 p.m. The Dycem Non-Slip team will be celebrating 100 years of occupational therapy at the American Occupational Therapy Association’s (AOTA’s) Annual Conference & Centennial Celebration. We are joining 13,000 occupational therapists in Philadelphia, a city with a fiitingly vibrant history, to officially celebrate a century of occupational therapy at the AOTA conference March 30–April 2. We can’t wait to discuss the latest research and interventions on innovative ways to help people live life to its fullest! 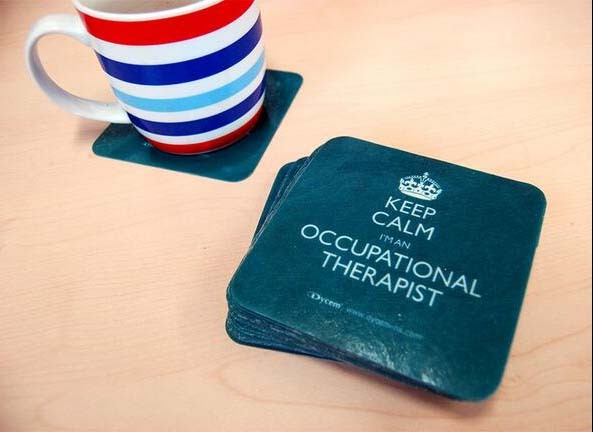 This time has come to celebrate occupational therapys rich history and growth over the last 100 years! From arts and crafts to high-tech apps and evidence-based practice, the profession continues to move forward to enable individuals to achieve their full potential. We are pleased that Dycem Non-Slip has proven a useful tool in helping occupational therapists and clients achieve their goals. To mark this momentous occasion, we are celebrating in style at the 2017 Annual Conference & Centennial Celebration. This is one AOTA Conference you will not want to miss! This once-in-a-lifetime event shakes up the traditional Annual Conference format with Centennial-influenced activities and celebrations interspersed throughout this preeminent gathering of occupational therapy professionals. 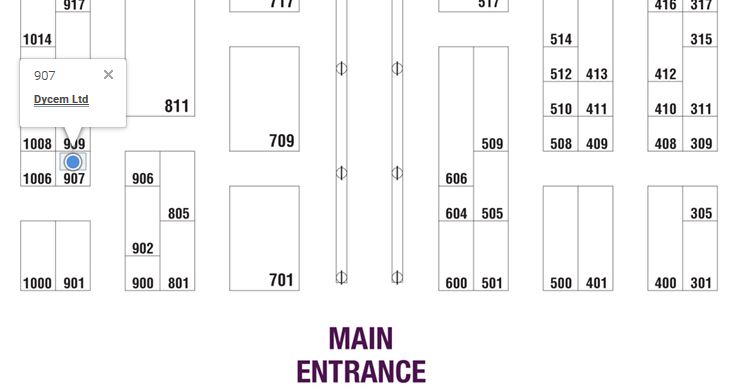 You will be able to find us at booth 907 where will be showcasing how Dycem Non-Slip products have been essential for occupational therapy professionals over the past 50 years and we will have goodies to giveaway. See you there! Don’t worry if you can’t make the event – you can find out more about our products at dycem-ns.com and you can chat with us here or on twitter @DycemNS! Dycem Non-Slip will be exhibiting at REHACARE, the trade fair dedicated to inclusion and self-determined living, in Düsseldorf, Germany from 28 September to 1 October. The Dycem Non-Slip team will be presenting its innovative products that help people with disabilities, care needs and in old age. 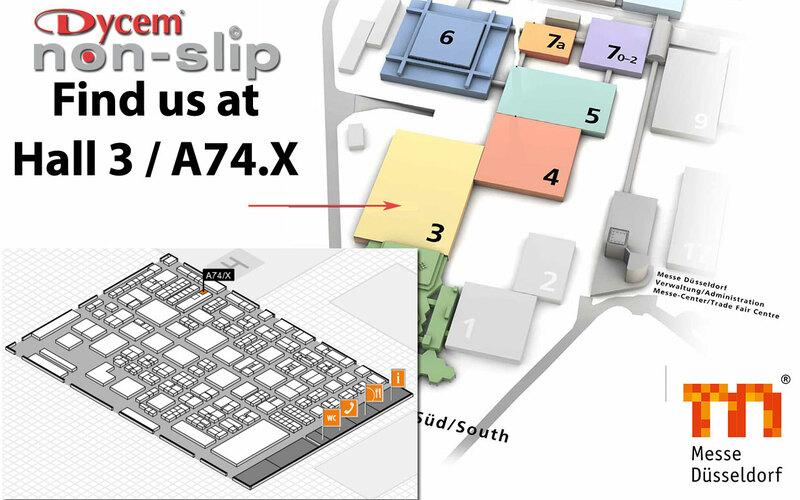 We invite you to join us at stand A74/X in hall 3 for hands-on product demonstrations and to see how Dycem Non-Slip products can make life easier. Wednesday – Friday: 10:00 a.m. – 06:00 p.m.
Don’t worry if you can’t make the event – you can find out more about our products at dycem-ns.com and you can chat with us at Facebook or on twitter @DycemNS ! Congratulations recent occupational therapy & physical therapy graduates! Congratulations to all the recent occupational therapy and physical therapy graduates! Soon many of you will be beginning your exciting and rewarding career paths, helping to make a real difference to other people’s lives. During your studies and practical experience, you will have seen that having the right tools is essential in helping your clients in achieving their goals. Dycem® Reel material can be cut to size to provide grip where needed. Using Dycem to keep hold of patients when mobilising, providing excellent grip for hard to hold onto areas. Congratulations again on your graduation. You’ve worked hard over the last few years and we wish you luck on your journey as you transition to practice! View the Dycem Non-Slip range at dycem-ns.com and discover the many Dycem uses here. 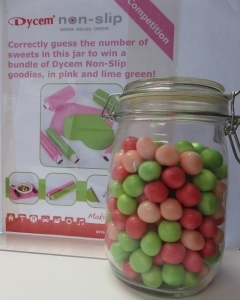 If you’ve yet to experience the superior grip properties of Dycem you can request a sample (subject to availability) here. The American Occupational Therapy Association (AOTA) offers step-by-step tips (also relevant to physical therapists ) on landing your first job here. For more information for PTs, you can also visit the American Physical Therapy Association (APTA) here. 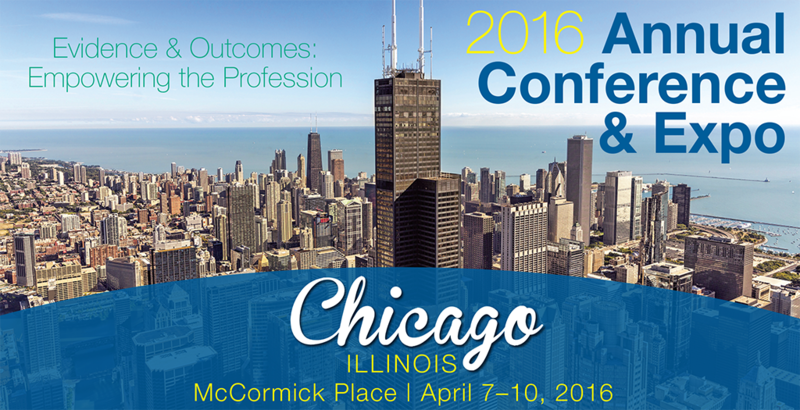 Come meet Dycem at AOTA 2016! 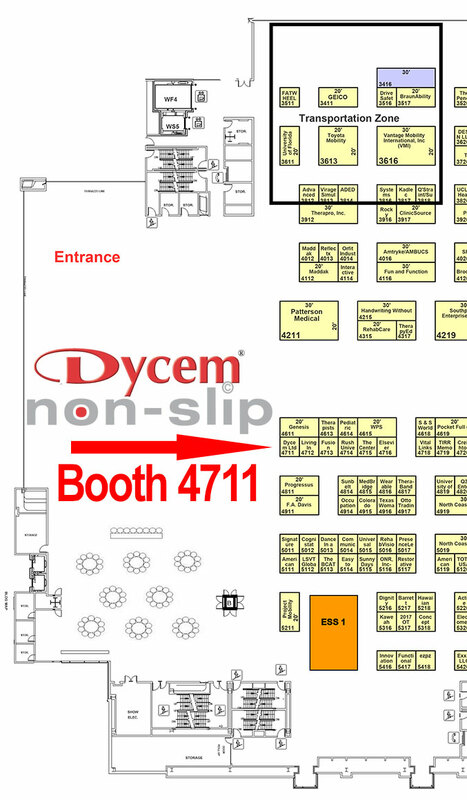 Dycem Non-Slip will be exhibiting at The American Occupational Therapy Association’s 96th Annual Conference & Expo, United States of America, Chicago, 7 – 10 April 2016. A city rich in history, Chicago provides the perfect setting for AOTA 2016 as occupational therapy nears its 100th year in existence in the United States and Dycem celebrates its 50th anniversary. 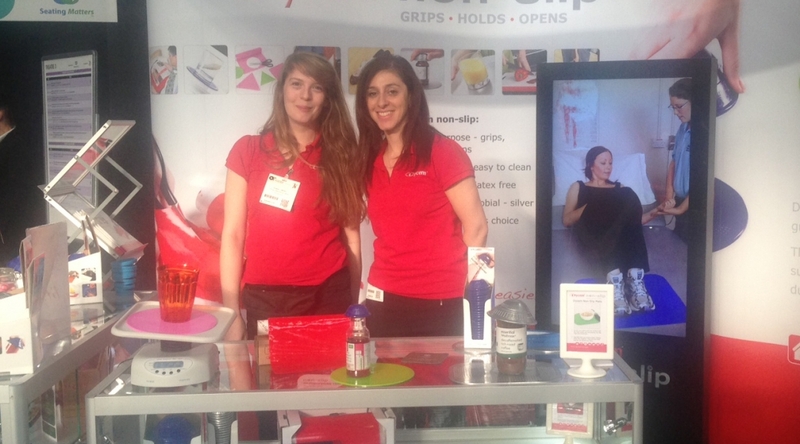 We’re looking forward to meeting the thousands of attending occupational therapists and hearing how Dycem Non-Slip products assist the profession in improving the lives of millions of people. 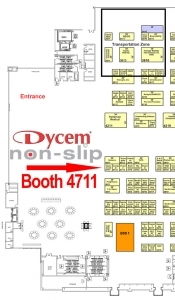 You will be able to find us at booth 4711 where will be showcasing how Dycem Non-Slip products are essential for occupational therapy professionals and we will have goodies to giveaway. See you there! Mealtimes are very much tied to a person’s most cherished memories, whether it’s a holiday feast with your extended family, or a lunch with friends. 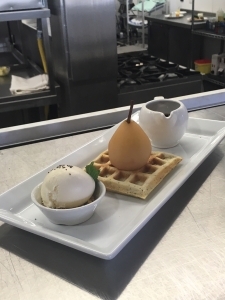 When it comes to eating and dining, most people take a great amount of pleasure from coming together with others and enjoying some delicious food. 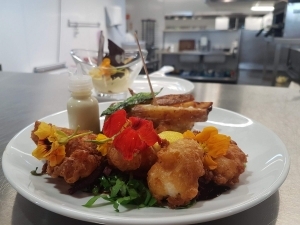 Within the healthcare or social care environment, mealtimes serve as an integral part of the caring process, forming a crucial part of the day that, for those who struggle to eat independently can sometimes be fraught with stress and anxiety and, in the end, turn out not very pleasurable at all. Enhancing the meal time experience has, according to a talk at a recent Patient First conference, become a priority for the health and social care industry, recognising these important times of the day to be not just essential to physical health, but also very important to a person’s mental wellbeing- ensuring that the patient is able to take part in daily activities which many of us would take for granted. 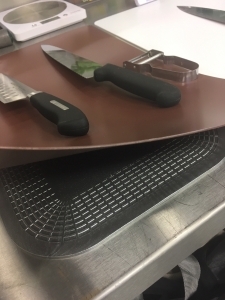 Use a Dycem Non-Slip mat to keep plates from moving & Dycem tape on cutlery for better grip. 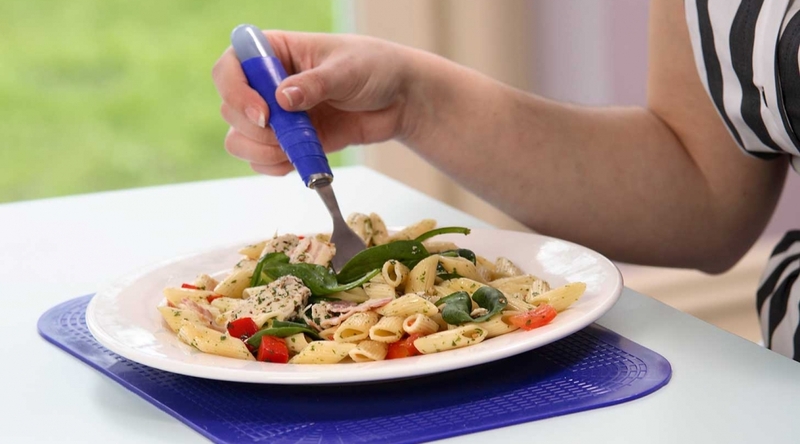 For someone with decreased mobility in their hands, eating without the need for assistance can become very frustrating if the cutlery and crockery is not suitably designed for the job. There are many different designs and products on the market which are specifically tailored to help many different abilities comfortably eat a meal and drink independently, whether its cup holders that prevent your drink from spilling or non-slip mats that firmly root your dining plate to the table. Gaining the confidence to eat a meal with dignity can allow people to enjoy the meal time experience once more, whether it’s for the chance to bond with others, enjoy the sensory pleasures of eating, or to feel like you are taking positive steps towards improving your health. 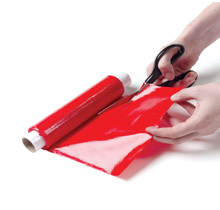 Dycem Non-Slip is an established brand amongst Occupational Therapists and Physiotherapists, as its non-slip properties can secure objects in place and improve hand grip. The Non-Slip team have also discovered new applications in the hospital ward helping nursing staff carry out their day to day duties, such as feeding and moving patients and improving the quality of the patient experience. 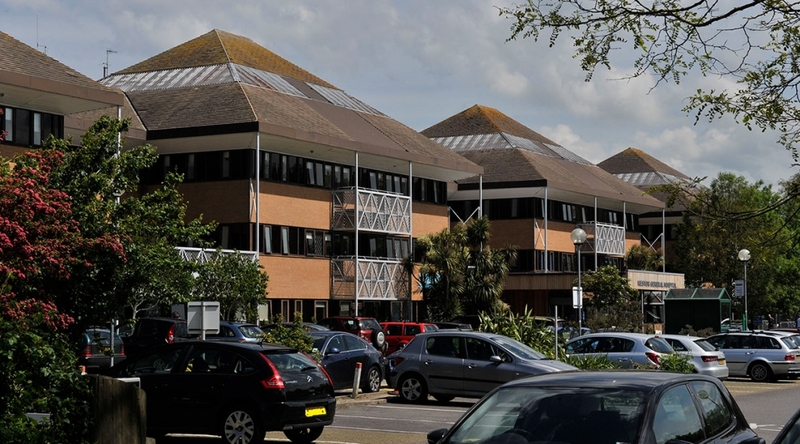 Weston General Hospital, part of Weston Area Health NHS Trust in North Somerset (www.waht.nhs.net), recently trialed our range of our Non-Slip products within two of the wards. Sister Jayne Biddiscombe and Sister Joy Milsom volunteered for the trial and identified a number of different uses for Dycem in the hospital ward. The Dycem rectangular mats, for example, allow patients to eat independently, if they, for instance only have the use of one hand or have weak grip strength. 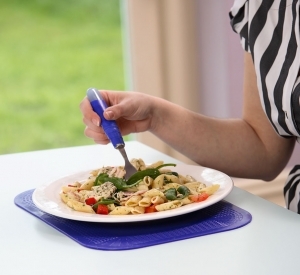 Dycem mats allow patients to eat independently. 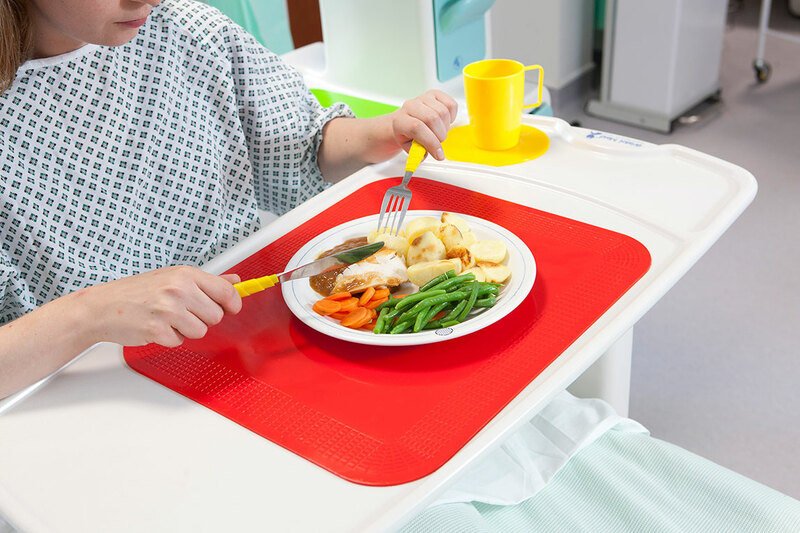 Dycem Mats can also work as a visual marker, helping patients with visual impairments or dementia find where their drink is placed, thanks to Dycem’s bright and vivid colour palette. The yellow range of products, in particular, were developed in association with the RNIB and are specifically designed to help those with visual impairments detect- to a varying degree- colour contrast between objects. Sister Jayne and Sister Joy also found Dycem Non-Slip Reels useful in preventing pressure relieving cushions from moving around on the tops of chairs- which can happen frequently, as they are inflatable and light enough to fall out of place easily. Dycem reel material keeps pillows from slipping. Another interesting use which was found by the nurses was preventing arms from slipping off of the arm rests of chairs. Dycem Non-Slip’s, non-toxic and latex-free properties make it safe to use against skin and its firm hold can reduce the likelihood of a patient’s arm from slipping and causing pain or injury in the shoulder. This can prove especially useful for stroke patients who may have reduced feeling in one side of the body, for example. 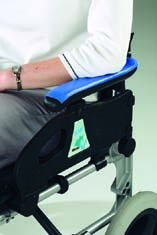 Dycem Non-Slip reel material on arm rests prevents slipping & injury. 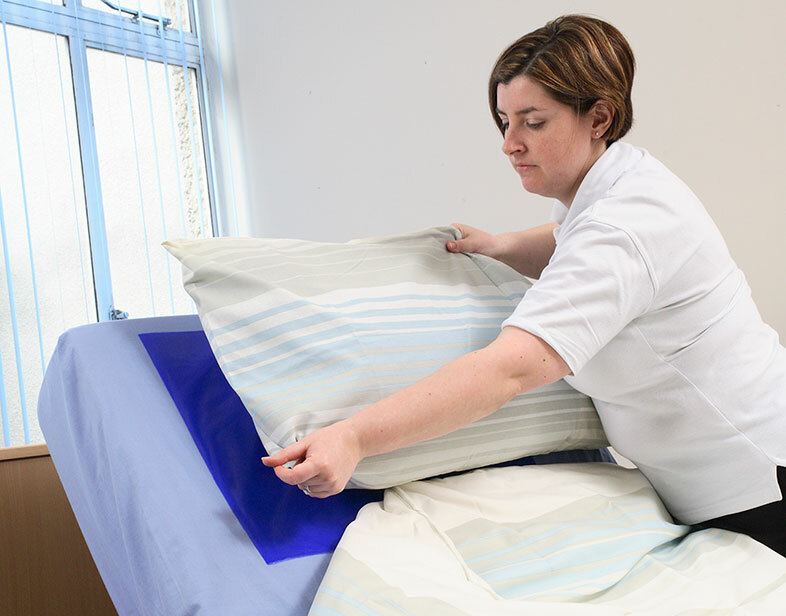 Improving comfort and independence for patients is one thing, but minimising the risk of patients slipping and injuring themselves could also help to reduce their length of stay in hospital- which could potentially be a huge advantage for both patients and staff. If you would like to find out more about Dycem Non-Slip for use in hospitals, or you think Dycem may be of use in your health facility, please get in touch with the team, email nonslip@dycem.com.